Stopped in the intro as Trey jokingly said "Good night" to the crowd and restarted. After Dear Mrs. Reagan, Trey introduced "Alex," a new waitress at Nectar's. I Didn't know featured Fish on trombone. Happy Birthday was dedicated to Trey's sister Kristy, who was running lights for the show, "Roz," and "Meg." He brought Kristy, "Roz," and Del Martin (because "Meg" was not there) on stage. 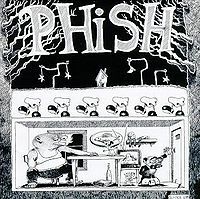 This show featured the first known Phish performance of Phase Dance. Mockingbird also made its debut at this show and was played without Forbin’s. Before Whipping Post, Trey introduced Lizards as "Where Have All the Lizards Gone?" Suzy was stopped in its intro with Trey jokingly saying "good night" before restarting the song. Trey teased DEG in Good Times Bad Times. Phish took two months off from their usual Nectar's rotation in late 87 and 88 and returned in early February for a two-night stand. February was the start of a long stretch for the band, as they'd play 7+ shows a month each month until October. It is clear from these tapes that there were a LOT more folks at the show since the last Nectar's gig. It is quite loud and people are making lots of requests and singing along to some of the band's songs. In another foreshadowing of things to come, you can hear Paul talking with someone about "this new place called the Front". In May, the band would play the larger Front and make it their hometown club until 1991. At this point, the band was really starting to grow. This show is a good reason why. Starting off with an inspired Fire, the band is locked in. While McGrupp and Shaggy Dog are a bit on the quiet side, Golgi manages to liven things up a bit. Many fans were calling for more 'rock n roll', and one woman even screams about 'this reggae sh!t'. Funny, since I don't know if McGrupp can be considered reggae. Nonetheless, Golgi, Alumni (dedicated to a friend of the band), and Peaches provide a mid-set rock fest. Pat Metheny's Phase Dance is next (which I talk about in the 9/27/88 review). It's always difficult to deal with Page's cheesy organ sound in this cover - perhaps one day they'll bring it out with their current equipment to do it some justice. After a fun Dear. Mrs. Reagan, Trey introduces Alex, who is in her second night at Nectar's and encourages the audience to give her tips. He also introduces Paul and asks if anyone wants to buy his old guitar (at this point he had moved on to his Languedoc guitar "old reliable"). Trey introduces Fishman to play trombone on I Didn't Know, which was the essential precursor to the vacuum. A wonderful version of Bowie follows and closes the set. A very nice Bowie here, with some great interplay between the band members before the first verse. This builds slowly, but really is solid the last few minutes. Set two has Trey introducing three people whose birthday it is. The first, "my sister Kristy", came from New York to run the lights (the same Kristy who the band wrote Joy for). He also calls up Del Martin, who at the time was recording the band's shows. Timber contains some teases of DEG from Trey and is particularly chaotic. Flat Fee, Fee, and Possum are all pretty standard, although it is worth mentioning the sing-along from the audience during Fee. Clearly, folks had picked up on this quirky song's chorus. Lizards here is novel in that it contains a fairly interesting bridge (after the whoa-whoa-whoa part). It's a funky little jam with Trey fooling around with four notes, but it sounds great. Mockingbird, its debut, is particularly tame, as the band has trouble keeping up with Trey (who himself has trouble with the difficult finger-work). An extremely strong version of Whipping Post closes the set and makes me wonder if the band ever plays a weak version of the song (similar to my thoughts about Julius). Set three opens with a goofy fake 'goodnight' from the band. Suzy and TMWSIY are pretty standard here. Sadly, an emasculated Clod moves into Bundle of Joy here. The full Clod was in its death throes at this point in the band's history and would only be seen once more (11/10/89) before being engulfed by Fluffhead. But, by this time, Clod had lost its promise. Compare this Clod to, say, 8/21/87 and you'll see what I mean. The last Curtain with, before the emergence of The Curtain, appears here and is the highlight of the show. I love this version as the band patiently moves around in the jam before winding into a DEG-like section. GTBT to close is very solid and also features some DEG-teasing from Trey. This is a particularly solid show, but like most 3-set Nectar's shows from this time period, there are definitely songs that are more worthwhile to hear than others. I like the Fire and Bowie in the first set and the extra-bridge Lizards and strong Whipping Post from the second set. Set 3 is highlighted by the wonderful Curtain-with. There are plenty of fun spots and banter in this show if you listen carefully, otherwise, stick to the highlights. This is one of the better shows from '88. While the show is pretty standard on paper for '88, the majority of the songs are well played here. Set I starts off with a rockin' "Fire" that really sets the tone for the evening--intense and full of energy. You can really hear the energy on the tape, and you can tell the crowd is amped. A wonderful played McGrupp follows and then the rare "Shaggy Dog", which I thought was a pretty funny song and placed well. Golgi through Alumni had some flubs but pretty standard. Phase Dance is a great Pat Metheny tune and the band brings it justice (kind of sad they never really played this after '88). The Set ends with a really smokin' David Bowie. One of the better ones from '88 for sure. 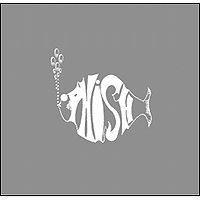 Set II is pretty standard, nothing over the top although "Timber" showcases some nice jamming, a nice foreshadowing of phish in later years. The highlight of this set is the epic Whipping Post cover. Trey really shreds this one up. 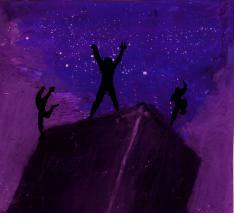 After the epic ending of Set II the band has trouble keeping the energy going on Set III. This set starts off very slow with TMWSIY and Avenu, then some random parts of fluff head dispersed. There are better Curtain Withs from this year and the Skynyrd cove was a real treat, but overall set III drags down the rest of the show for me. Def a Top 10 1988 show and a must listen Bowie and Whipping Post if nothing else.